How can we understand older people as real human beings, value their wisdom, and appreciate that their norms and purposes both matter in themselves and are affected by those of others? 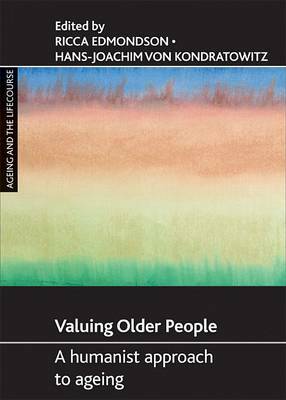 Using a life-course approach, "Valuing older people" argues that the complexity and potential creativity of later life demand a humanistic vision of older people and ageing. It acknowledges the diversity of experiences of older age and presents a range of contexts and methodologies through which they can be understood. Ageing is a process of creating meaning carried out by older people, and is significant for those around them. This book, therefore, considers the impact of social norms and political and economic structures on older people's capacities to age in creative ways. What real obstacles are there to older people's construction of meaningful lives? What is being achieved when they feel they are ageing well? This collection, aimed at students, researchers, practitioners and policy-makers, offers a lively and constructive response to contemporary challenges involving ageing and how to understand it.